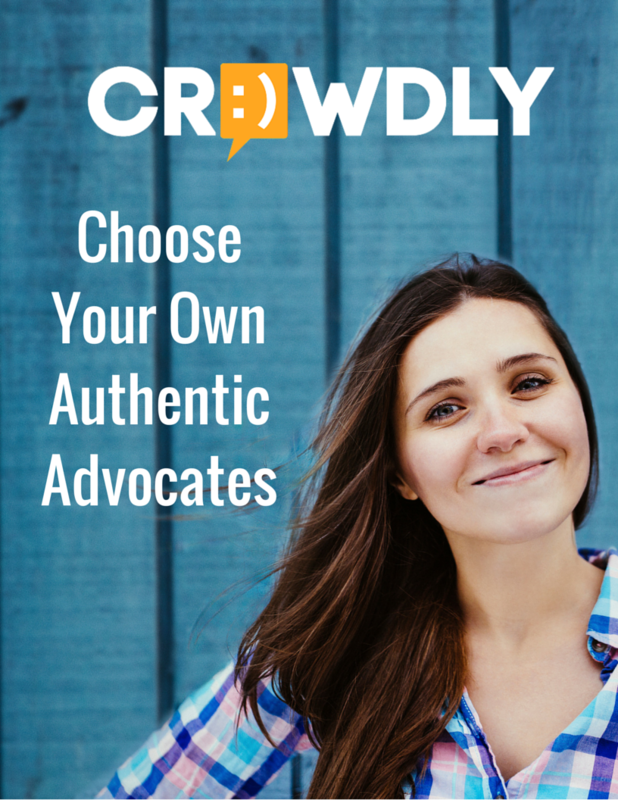 Learn why Crowdly delivers the best results for your influencer marketing. How to build a successful Surprise & Delight campaign, fueled by your best customers. 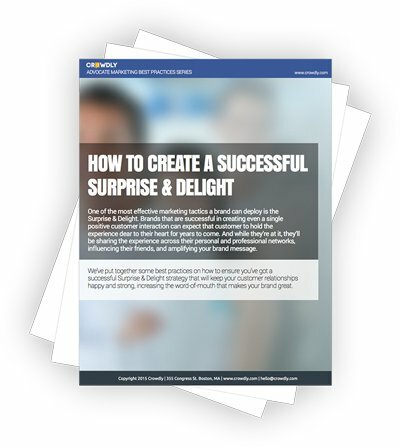 Download this guide and learn 6 best practices for creating successful surprise & delight campaigns, fueled with your most authentic and influential customers. How passionate advocates can have more influence than you might expect. 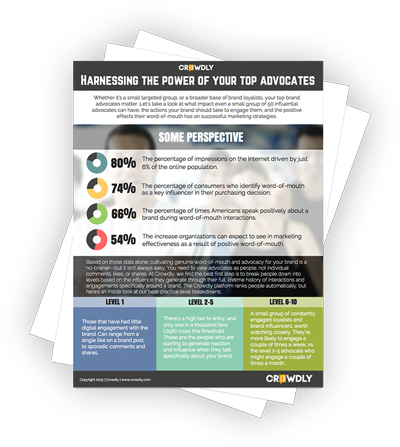 Download the Crowdly guide to Harnessing the Power of Your Top Advocates and learn how even a small group of highly passionate brand loyalists can have unparalleled reach and influence. 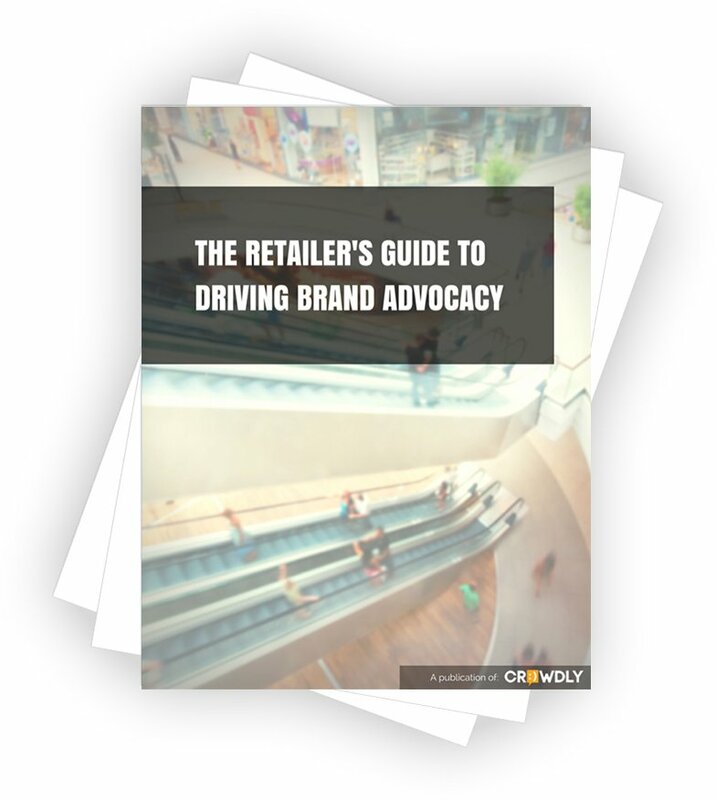 This retail brand advocacy report from Crowdly offers insights and guidance based on extensive research. We took a deep dive into department store social communities, loyalty programs, engagement metrics, industry sales statistics, and exclusive advocacy data drawn directly from the Crowdly platform. 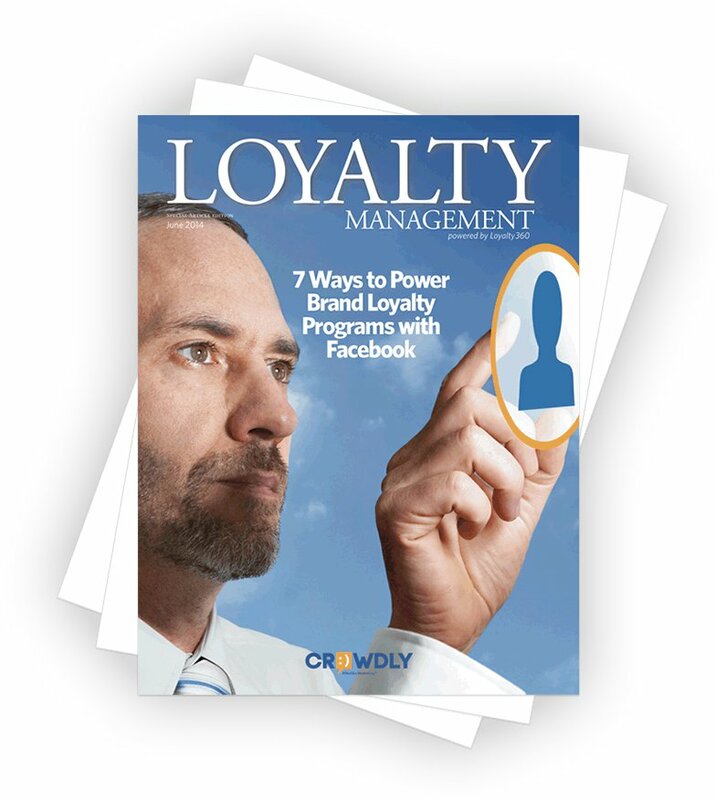 Facebook Decoded: How to succeed amidst Facebook’s most recent changes. After their busiest year yet, Facebook has marketers scratching their heads on how to make sense of all the changes. 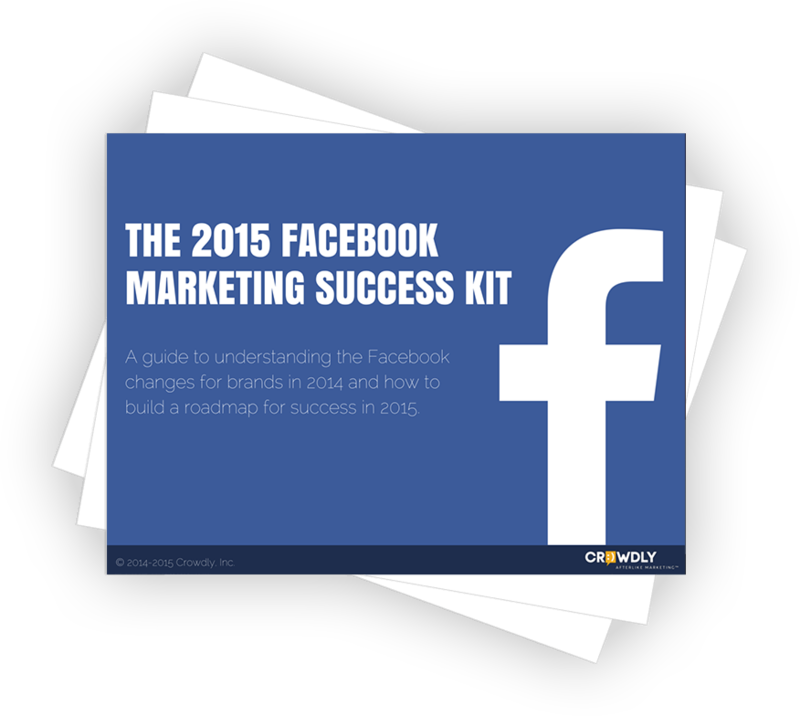 We’re here to help you navigate the waters with this Facebook success kit. ADVOCATES VS. INFLUENCERS VS. EMPLOYEES: How Can Advocates Help Your Brand? How to build a strategy that will drive impact and results. 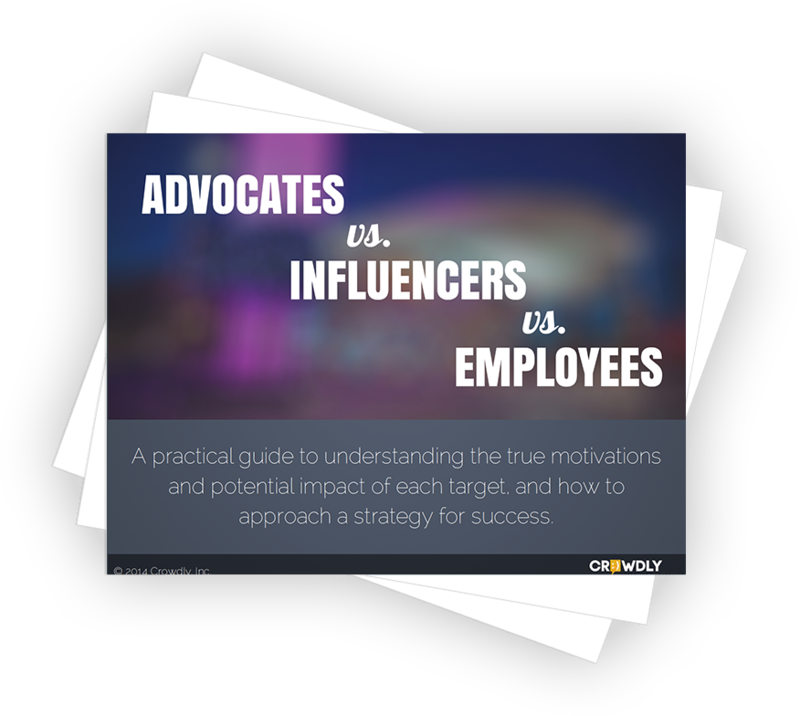 A practical guide to understanding the true motivations and potential impact of Advocates, Influencers and Employee Advocates, and how to approach a strategy for success. 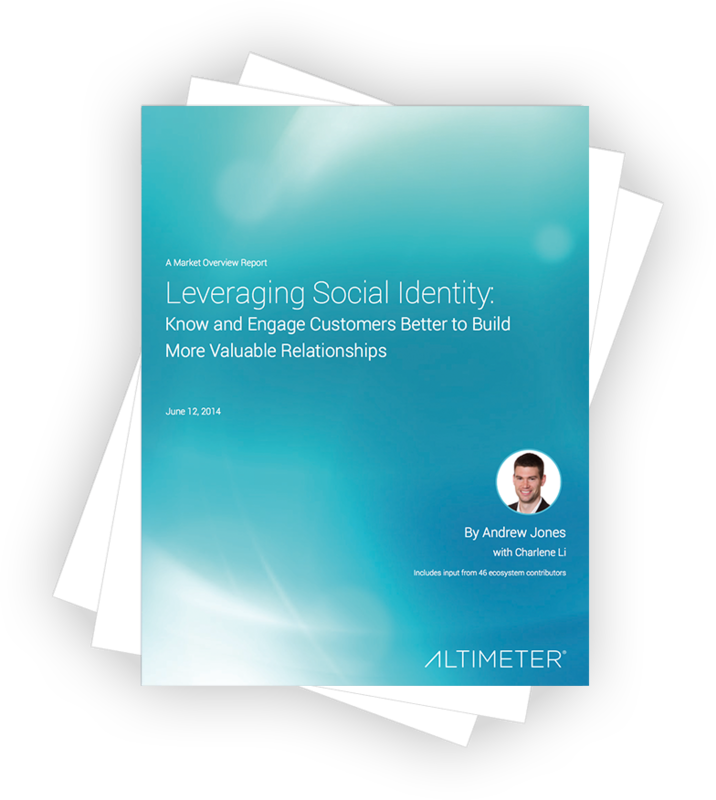 Know and Engage Customers Better to Build More Valuable Relationships. 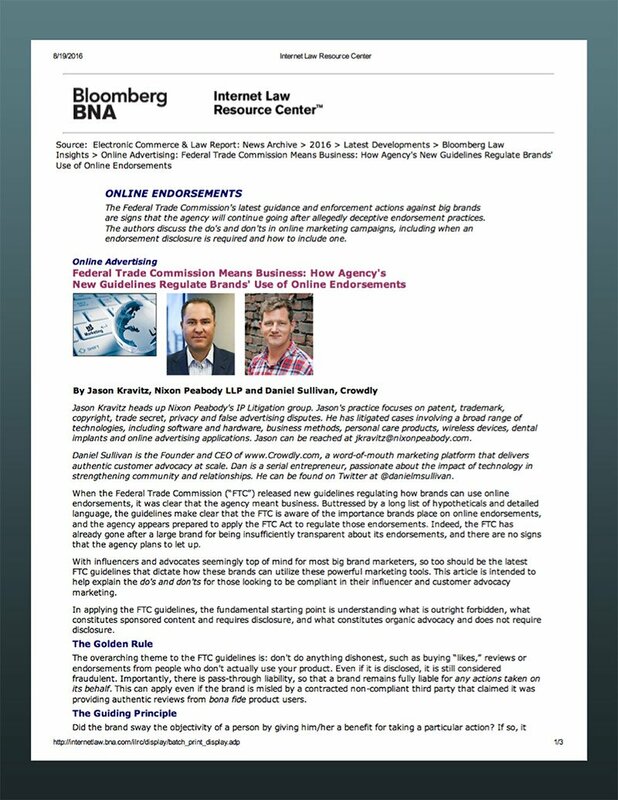 Crowdly selected as a primary solution to address the advocacy stage of the customer lifecycle. Learn new ways to boost loyalty & rewards programs, methods to connect with members on social, and how to avoid the industry standard of 54% member drop-off rate. 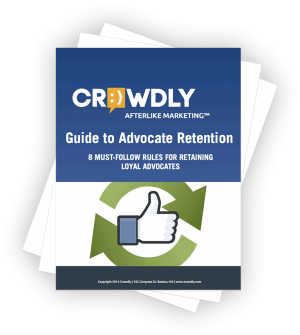 Read this guide to advocate retention and learn the 8 things you should be doing to keep your advocates around and increase the word-of-mouth presence for your brand. 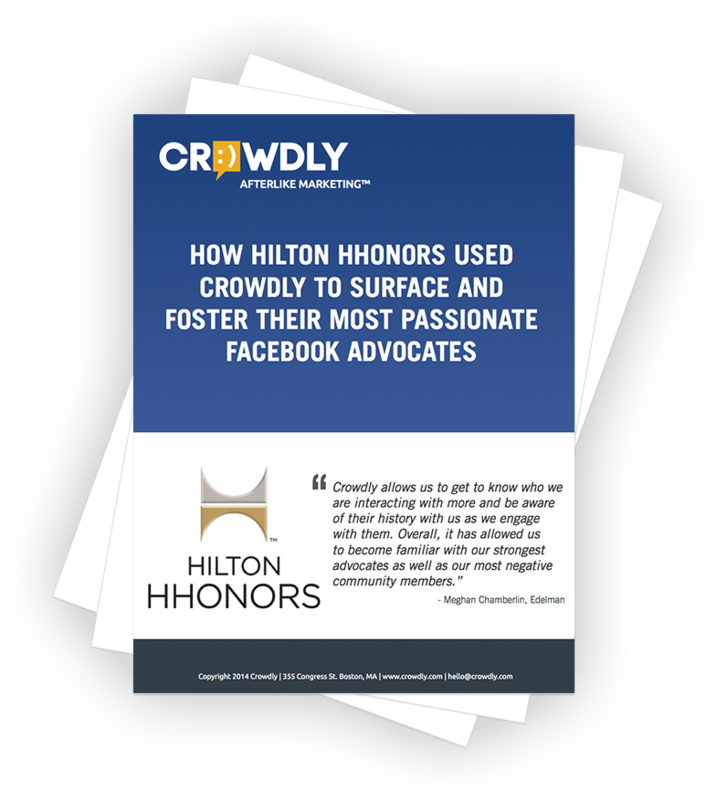 Learn how Hilton HHonors and their top-tier agency Edelman were able to unleash the power of their Facebook advocates using Crowdly.